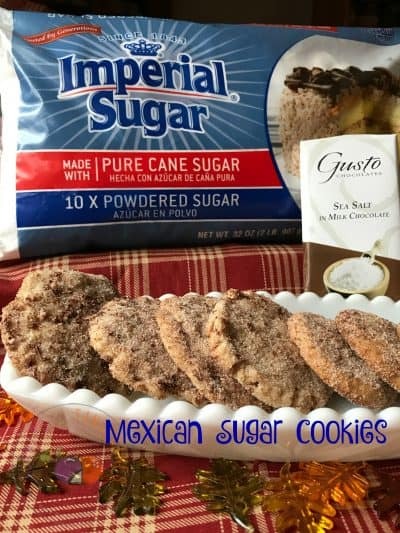 Polvorones Mexican Sugar Cookies #Choctoberfest 2018 are made with Imperial Powdered Sugar our gold sponsor and Forte Salted Chocolate. Mexican Wedding Cookies, Mexican Sugar Cookies, Snowball Cookies, Pecan Fingers, Russian Tea Cakes are all names for these buttery cookies. 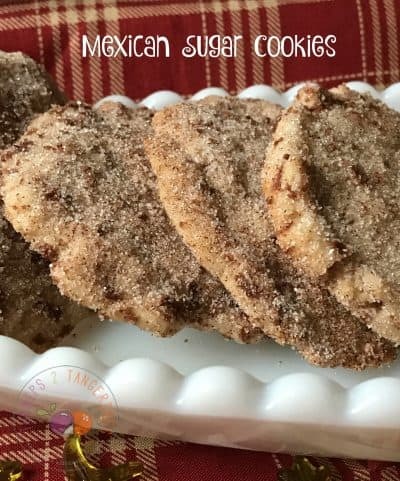 The cookies are all made with butter and powdered sugar and some of the recipes call for nuts, specifically chopped or ground pecans or almonds. 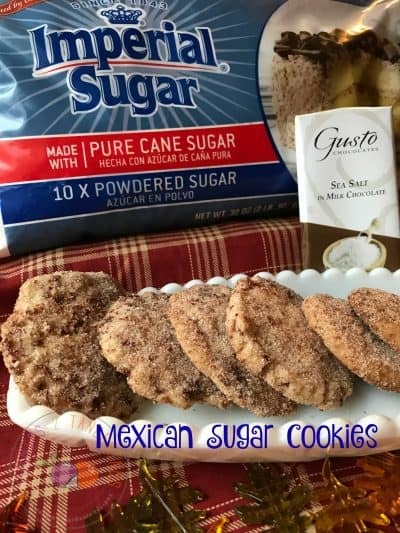 Most, if not all of the recipes, call for tossing the warm baked cookies in a mixture of powdered sugar, cinnamon sugar, spiced powdered sugar or a mixture of ground cinnamon, sugar & grated chocolate. I decided to make these buttery little beauties because I had never tossed baked warm cookies in a mixture of cinnamon/sugar/grated chocolate and couldn’t wait to try them. The end result was utterly delicious!! I have found one thing that is for certain, there are numerous recipes for ‘shortbread’ cookies, with just as many names. Shortbread cookies are all easy to make and require a few basic ingredients. The ingredients are usually butter or lard, powdered sugar or granulated sugar, flour, baking powder or soda and salt. Sometimes ground cinnamon is added to the dough, sometimes not. Vanilla extract is usually added also for flavor. 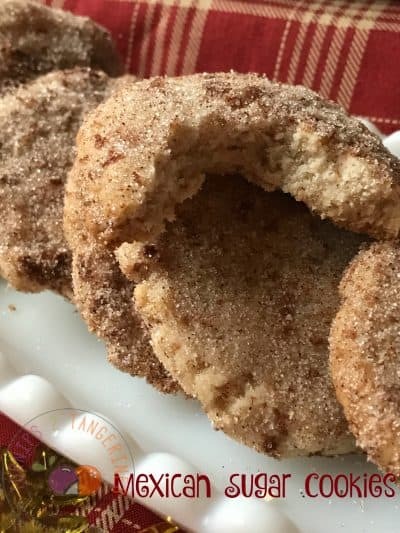 After baking, most often the cookies, balls, or crescents are sprinkled, tossed, rolled, dropped or shaken in a cinnamon/sugar mixture or in plain powdered sugar, making them a little messy but so worth it! All shortbread cookies are light, golden, crumbly, buttery and best of all, irresistible. Whatever name you use to call these cookies, they are super delicious. In my humble culinary opinion, anytime is a good time for these little gems. My grandma called these buttery, powdered sugar coated cookies, Pecan Fingers. She made them each year at Christmas and I couldn’t wait to get my hands on these buttery beauties. My grandma always kept them in a aqua blue plastic container, between sheets of waxed paper. Here is her recipe for pecan fingers or Mexican Wedding Cookies. I love these cookies and each year I make a batch at Christmas time, the tradition continues. A wonderful and delicious sugar! After baking Polvorones are transfer to a cinnamon/sugar/grated chocolate mixture that takes these cookies one step over the top. Preheat oven to 325 degrees. Grease baking sheets; set aside. Beat butter, powdered sugar, milk, vanilla and 1/2 teaspoon cinnamon in large bowl electric mixer at medium speed until light and fluffy, scraping down side of bowl once. Gradually add 1 1/2 cups flour and baking powder. Beat at low speed until well blended, scraping down side of bowl once. Stir in additional flour with spoon if dough is too soft to shape. Roll tablespoonfuls of dough into 1 1/4 -inch balls. Place balls 3 inches apart on prepared baking sheets. Flatten each ball into a 2-inch round with the bottom of a glass dipped in sugar. Bake 20-25 minutes or until edges are golden brown. Let stand on baking sheets 3 to 4 minutes. Meanwhile combine granulated sugar, grated chocolate and remaining 1/2 teaspoon cinnamon in a small bowl; stir to combine. Transfer cookies, one at a time with spatula to sugar mixture; coat on both sides. Remove with spatula to wire racks; cool completely. This recipe is from a recipe booklet called: Cooking Class, Christmas Cookies, Old World Favorites. Cooking Class Vol. 1, November 22, 1994 No. 20. Polvorones and Mantecados are Spanish shortbread type cookies which are extremely popular in Spain. While mantecados can be found at any time of the year in Spain, polvorones are usually consumed at Christmas.